Why Invest in Google AdWords for Your Business? Google AdWords, recently rebranded to Google Ads, is one of the largest and most popular forms of pay per click online advertising available today. No matter what type of business you run, you should consider Google AdWords as an essential part of your digital marketing strategy, to improve your visibility online to help you reach more customers, increase profits, and grow your business. Google Adwords has worked wonders for millions of companies already, and there is no reason it cannot do the same for you. With all these benefits and more, here’s why you should invest in Google Ads to elevate your business. Google AdWords utilises the search function to ensure that you will be able to advertise to people who are actually interested in your product or service. Your ad will only be displayed when people search for a certain keyword that you have bid for. As with all pay-per-click online advertising methods, you only pay when someone takes the time to click on your advertisement. Partner websites also receive a portion of the generated income. This payment scheme means that you are only paying when it is working. If no one clicks on your ads, then you don’t have to pay, making this a cost effective online advertising choice for many startup companies. 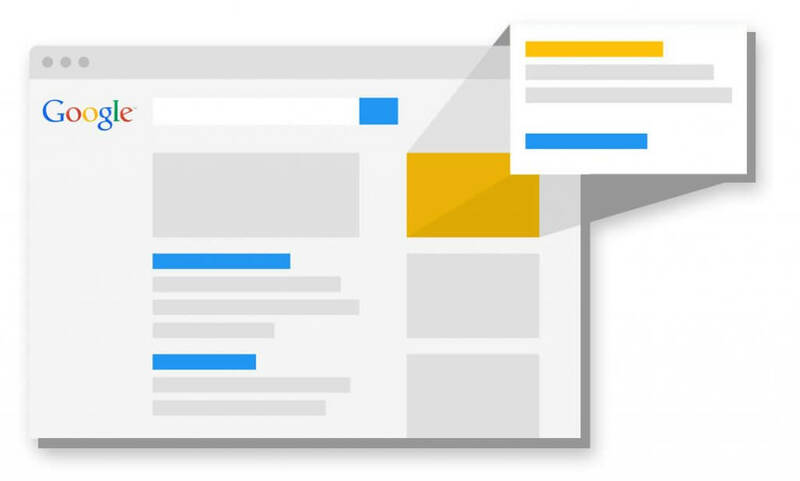 Why Should You Use Google Ads for Your Business? At Soak Creative, we believe Google Advertising is a crucial targeted digital marketing strategy. It is proven to be much more effective than blindly setting up ads. The best part is that this strategy targets potential customers when they are seeking out information online, so oftentimes, they are actively looking to make a purchase when they come across Google Ads. Additionally, Google is the most popular search engine in the world, assisting millions in their quest for more information every day. Today, most shoppers will look for information online before making a purchase. This makes online advertising imperative. Studies have shown that only a tiny fraction of those who use search engines will venture onto the second page of results. As a result, it is crucial for businesses to be on the first page of search results. Investing in Google Ads is a great way to accomplish this. Google AdWords has proven to be remarkably effective for businesses. The Google Economic Impact Report stated that for every $1 spent on Google’s advertising services, the company made back $2 in revenue. Margins like that are almost unheard of in the advertising world. While the general concept of Google Ads is pretty straightforward, it is easy for it to be unwieldly and quite a money pit if it is not set up properly. The system is only effective if it is run by people with knowledge of digital marketing strategy. If you need any assistance setting up your Google Advertising or any other digital marketing strategy, then look no further than the digital marketing agency of Soak Creative. Here at Soak Creative, we take pride in our friendly and professional service as well as our expertise. We focus on results-driven marketing and innovative solutions. Get in touch today for a free, no-obligation consultation! Tell us about your organization and your goals, and we will help you take your business to the next level. We work with all businesses in all stages of development. For long-term success created through a vibrant digital marketing strategy, call Soak Creative.